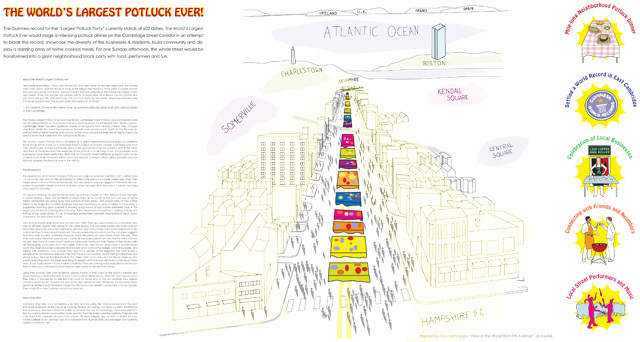 The World’s Largest Potluck Ever was part of a competition for the Cambridge Street Public Art Commission in Cambridge, MA, in 2010. 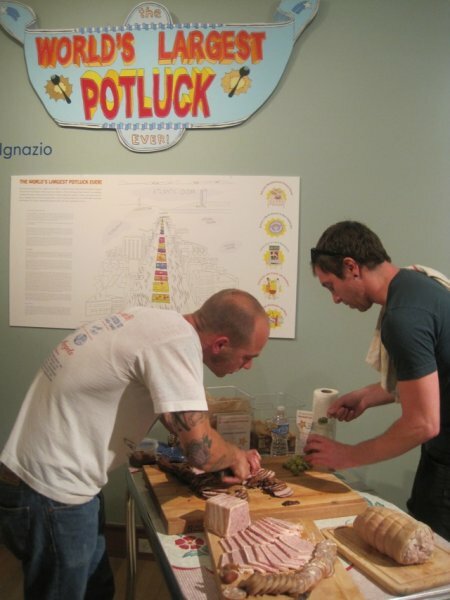 The ideas was to stage a mile-long potluck dinner on the Cambridge Street Corridor in Cambridge, MA, in an attempt to break the Guinness record for “Largest Potluck Dinner”, showcase the diversity of the businesses and residents, build community, publish a recipe book and display a dazzling array of home-cooked meals. 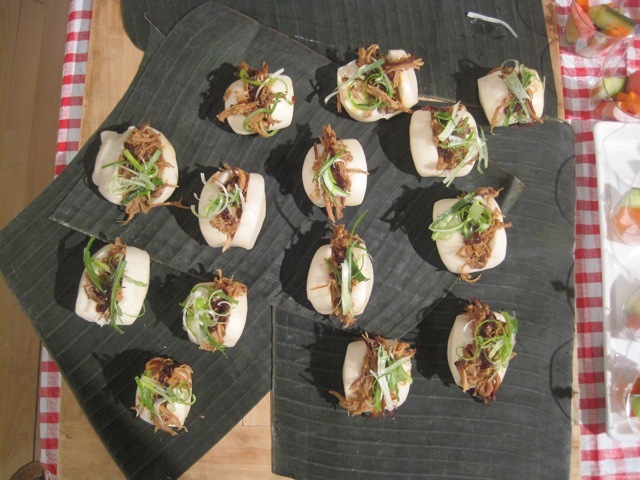 For one Sunday afternoon, the whole street would be transformed into a giant neighborhood block party with food, performers and fun. 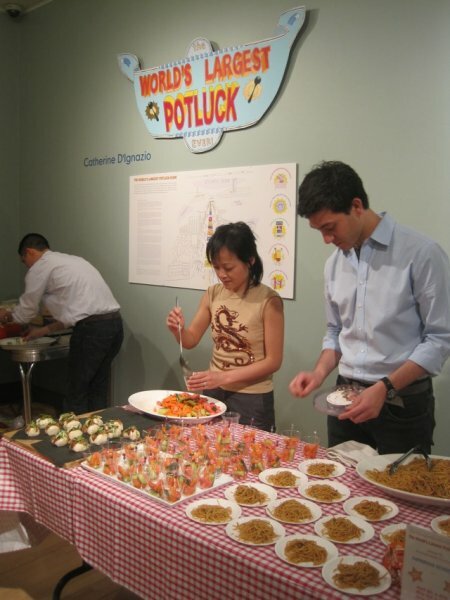 The World’s Largest Potluck Ever was inspired by Cambridge Street’s history as a commercial corridor of independently-run businesses and as a meeting place for people from diverse regions. Cambridge Street has seen significant waves of immigrants from Ireland, Poland, Italy, Portugal and Brazil. 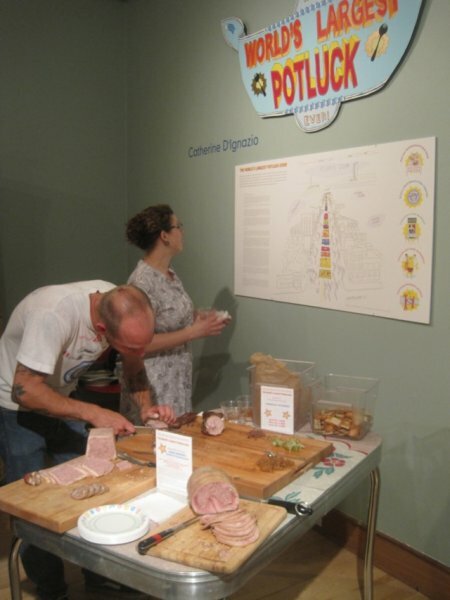 While the street has numerous festivals and special events (such as the 84-year-old annual Feast of Saints Cosmas and Damian or the Inman Square summer movie nights) there is no special event that celebrates the corridor specifically. 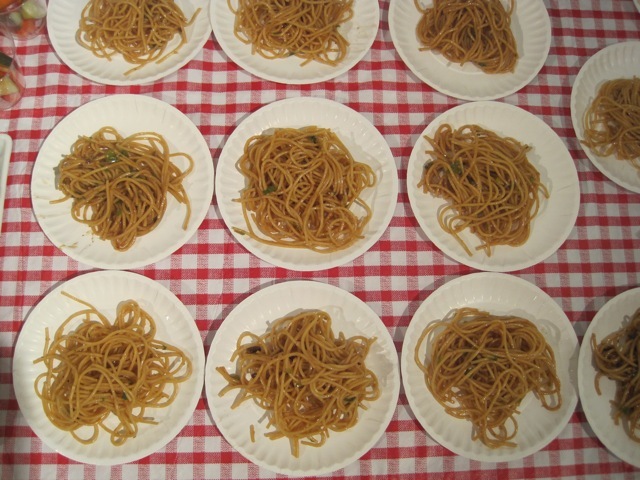 The World’s Largest Potluck Ever was part of a competition for the Cambridge Street Public Art Commission in Cambridge, MA, in 2010. 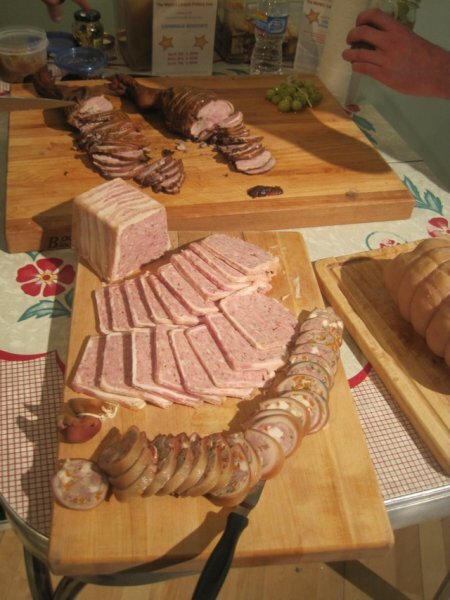 It was on display in the city’s art gallery in Spring 2010 and three local residents were commissioned to create homemade dishes for gallery visitors to taste. 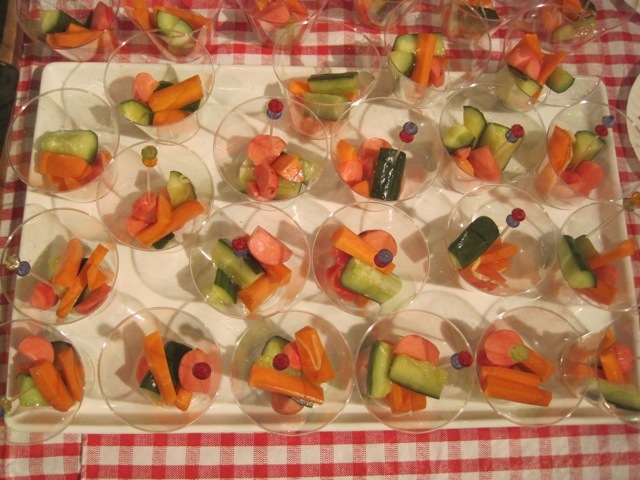 Unfortunately the project was not selected for the commission but this idea is still worth doing! 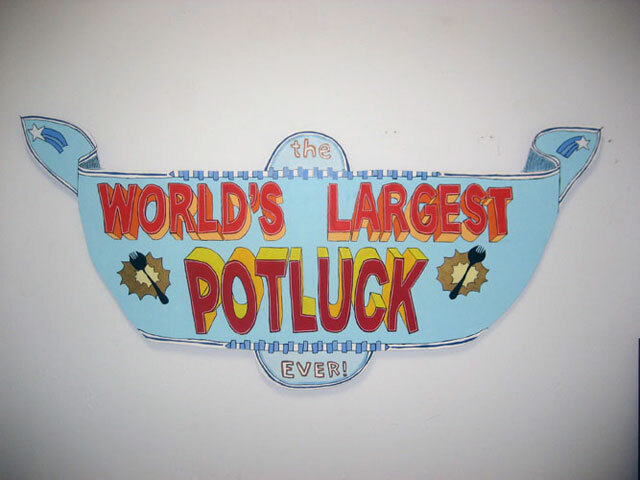 (Who does not want to attend the world’s largest potluck ever??) Contact me if you are interested in reviewing the full proposal.